Does Sugar Cause Wrinkles? Aging - Andrew Weil, M.D. I have read that sugar increases the visible effects of aging such as wrinkles and sagging skin. Can you tell me if this is true and if so, why? 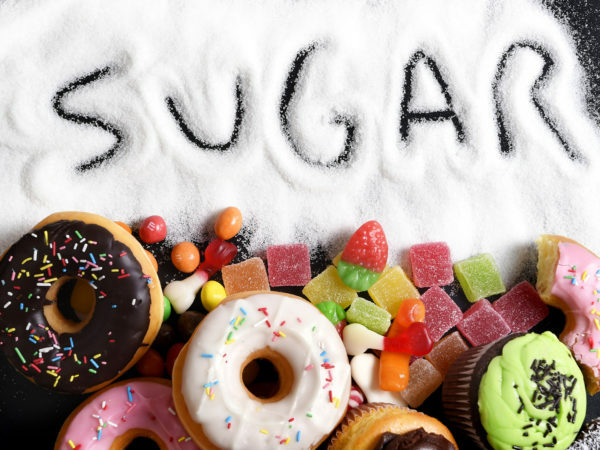 Sugar consumption can certainly play a role in the development of wrinkles and sagging skin, but its influence may be slight compared to the effects of other environmental factors and of aging itself. As we get older, our skin begins to dry, becomes less elastic and more fragile because of decreased production of natural oils. Skin also gets saggy and lined as underlying fat diminishes. Exposure to ultraviolet light accelerates the aging process by breaking down subcutaneous connective tissue; this is thought to be the main cause of premature wrinkling. Smoking and exposure to air pollution also play roles, as do your habitual facial expressions, which over the years cause grooves to form under the skin. Then there is genetics, which may account for up to 50 percent of skin aging. It is true, however, that diets high in sugar can damage elastin and collagen molecules in the skin, increasing wrinkles and sagging. Research has shown that advanced glycation end products (AGEs), a class of compounds resulting from combinations of sugars and proteins, can accelerate the effects of aging. These form whenever blood sugar is high, mostly from overconsumption of quick-digesting carbohydrates, including sweeteners and refined starches (flour). Most Americans consume far too much sugar – an average of 22 teaspoons per day, mostly from sodas and other sweet drinks, baked goods, candy, and ready-to-eat cereals. Limiting sugar intake to 10 percent of daily calories may help keep your skin looking younger longer. It also can help you control your weight and improve your general health; research has linked diets high in sugar to fatal heart attacks as well as high blood pressure, low HDL (“good”) cholesterol, increased triglycerides and fatty liver. According to the American Academy of Dermatology (AAD), diets high in vitamin C and linoleic acid (found in nuts and vegetable oils) and low in fat and carbohydrates are associated with fewer wrinkles, less skin thinning and reduced age-related dryness. In addition, research suggests that a diet high in antioxidants and healthy fats and low in sugars, refined carbohydrates and bad fats may help slow the aging process in general. Here are eight natural skin care tips. Keeping your skin looking good with minimal wrinkles requires an overall strategy combining sun protection, avoiding smoking (and exposure to tobacco smoke), and limiting sugar and other foods that lead to formation of AGEs. Aging and gravity will continue to take their toll. Can Smartphones Make Your Skin Sag?